Enter Holy cow! There are a LOT of modelling tools in the cake world. Where do you start? Do you really need to buy them all? Will your life be incomplete if you don’t have them all? Should you get metal, plastic or matching sets? Are the cheap ones as good as the more expensive ones? So many questions and you just wanna get on and make beautiful cakes right? Rule Number 1 - don't go and get yourself a dose of the Newbie Cakers Disease known as "Shiny New Object Syndrome". You know what I mean. You are probably right there now, wondering which new tools to buy, wondering if you just just give up food and buy ALL the tools! Your Hands. That's it. And they're free! If you are just starting in modelling, many of the tutorials in the Pretty Witty Academy will show you how to model with just your hands. A few tips and tricks and you will be off and making cute little characters for the tops of cakes. Want to go up a level? Once you are on your way and have grasped the basics of working with fondant or modelling paste, you can then look at getting some of the basic modelling tools for cakers. There are heaps to choose from and the above video runs through most of the common ones that are available to you. In the free tutorial, I show you each tool and what it does, what patterns it makes, why you would buy it (or not!). Most tools have multiple different uses and can make multiple patterns. They are usually double ended as well so you can get 2 or more tools from one. Do you really need to buy them all? Nope! Definitely not. In the video I run through 17 different types of tools. But you do not need to rush out and buy 17 different types. This tutorial is to show you what they do. You are then armed with everything you need to know to see IF they would be helpful to you. When you buy cake tools, many of them come without any clear instructions so often end up sat on a shelf because you don't know what to do with it. What are the top 3? 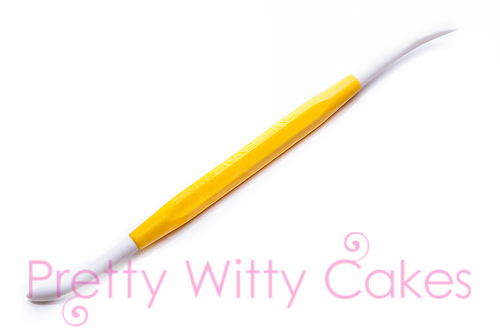 The ball tool is possibly the single most used tool in cake decorating. It is highly versatile and can be used for everything from frilling flowers or edges of cakes to making eyes and other patterns on characters. You can buy plastic or metal ones. If you are just beginning in cake decorating, the plastic option is fine. If you are looking to run a cake decorating business and use a ball tool a lot, then you will find a metal set better with a variety of different sizes because the plastic ones can break if you press to hard. Watch the above tutorial from 0.59 seconds to 3.52 for full details about Ball Tools for cake decorating. Where do you buy ball tools? Shop around! 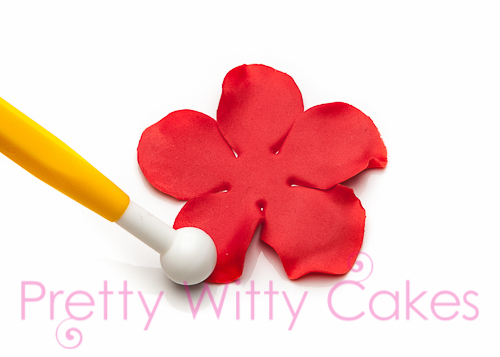 The cake decorating shops will often be more expensive for basic tools than Amazon or Ebay. The traditional PME Yellow Ball Tool is good quality (Link below). The cheap metal ones on Amazon are also usually good quality. Be careful of knock off cheap versions of the higher quality plastic products. You will come across sets that are often in a range of colours that, in my experience, are cheaper, but break very easily. 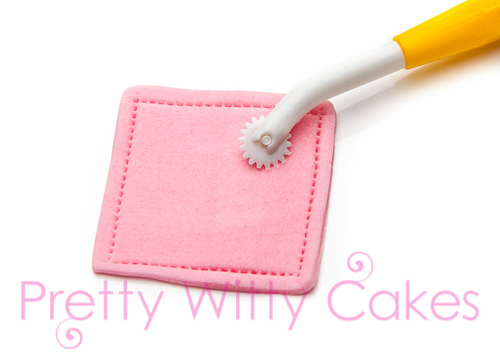 If you are serious about cake decoraring, spend a little bit more on quality tools because you get what you pay for! The Dresden Tool is a tool that you would probably skip because you didn't know what it is. I have filmed with over 60 guest tutors and worked with 1000s of cake students face to face and hands down, the favourite tool of many pro and amateur cakers is the Dresden Tool. This clever little tool has a variety of uses. Watch the free tutorial above from 23.56 mins to 25.58 to see its many uses. My last top choice for beginners is the Stitching (or Quilting) tool. Whilst this is not an essential tool, it is a really easy tool to help transform designs with minimal effort. It will give a 3D effect to many of your designs and make them look more detailed and intricate. You can use on flat 2d work at 3D work. It also has the added bonus that the other end often has a mini Dresden tool on (see the Video above from 13.28 to 15.28) so you could get this instead of a dresden tool to start with to try it out. Got More Questions? Want to Learn More?